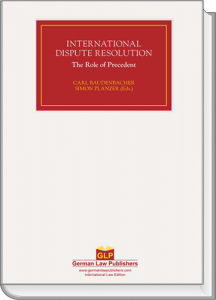 In October 2010, renowned authorities in the field of international dispute resolution from Europe, North America and Asia gathered in St.Gallen to discuss »The Role of Precedent in Dispute Resolution«. 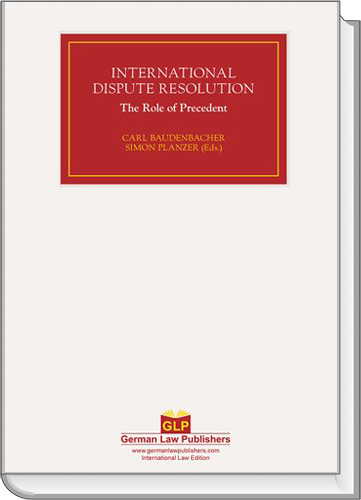 While most observers associate precedent with common law and the stare decisis doctrine, some forms of precedent are nevertheless practiced in civil law jurisdictions and in international or supranational legal orders. It is a rather undefined role that precedent plays in international law and it may strongly vary from one legal order to another. The 3rd St.Gallen International Dispute Resolution Conference approached this subject in four panels: »Common law and civil law«, »Arbitration«, »European High Courts« and »The World Trade Organization«.